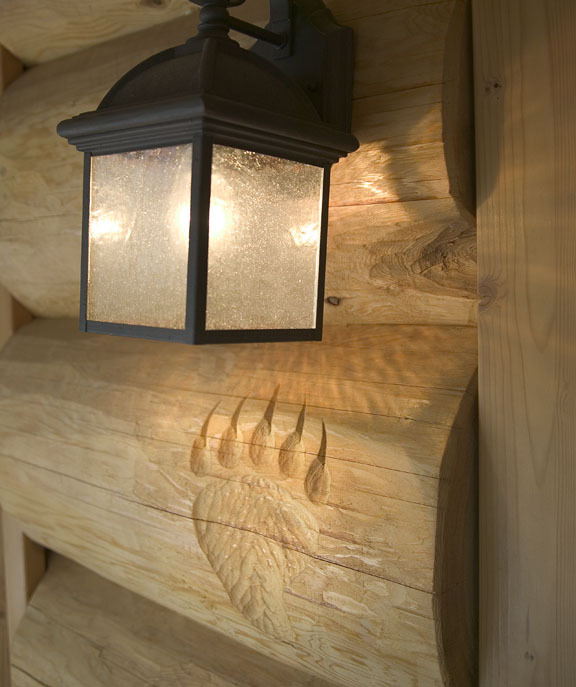 Log GetawayThe Log Getaway vacation rental is a great alternaive to LA area mountain communities like Big Bear. 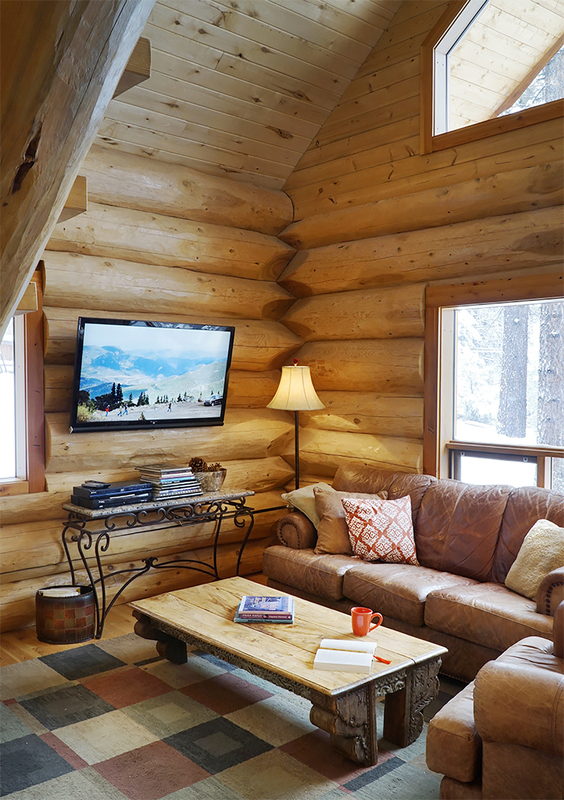 At only 1.5 miles from LA the Log Getaway is a rustic log cabin retreat that is the perfect escape from the big city. 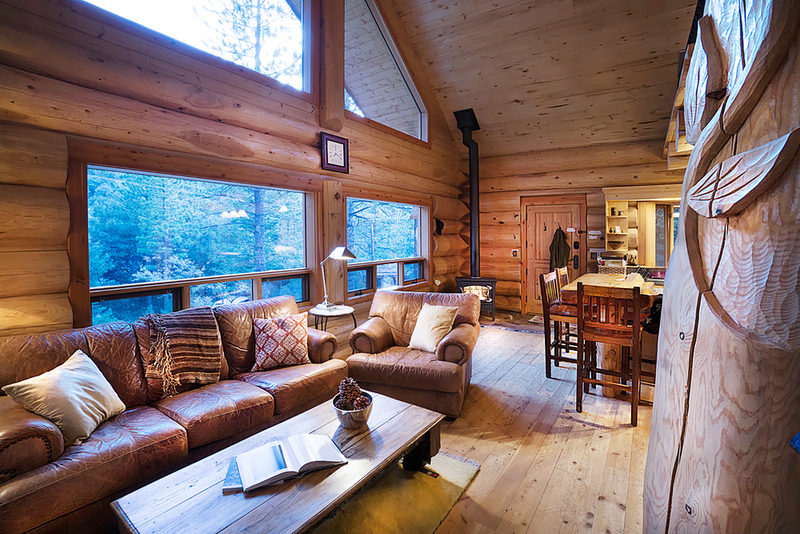 This Pine Mountain Club Pet Friendly Home was featured as Log Home of the month in Log Home Living Magazine! 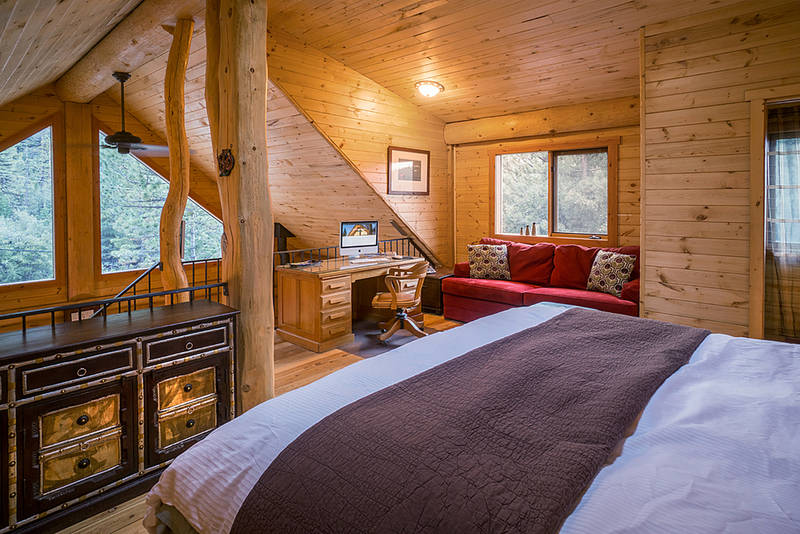 This 1200 square foot cozy getaway is arguably Pine Mountain's most premium vacation rental property! 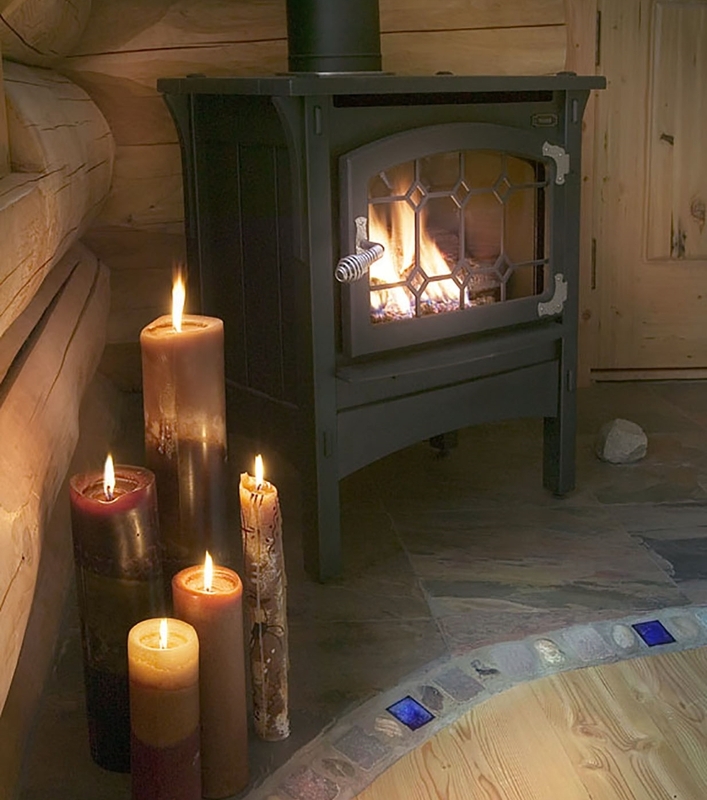 The Log Getaway features huge windows with great mountain views, soaring cathedral ceilings, log carvings, and features 20" average diameter hand crafted logs. 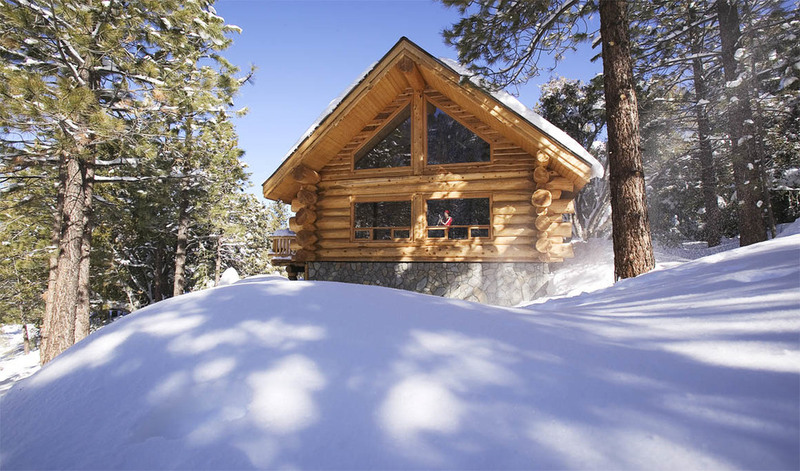 At 6500' of elevation the Log Getaway enjoys the best of the seasons with cool summer temperatures and snowfall in the winter. Avoid the crowds of Big Bear and most other mountain communities and come to our true mountain paradise. The true beauty of the Log Getaway is that in a short drive from the hectic city and freeways is an oasis that few realize is so close at hand. Listen to the birds and the majestic pines in the wind and perhaps glimpse deer, bear, bobcat, or even a mountain lion. Astronomers also consider this one of the premier areas for star gazing. Less than 2 miles away PMC boasts it's own clubhouse which is for residents and guests only (guest cards provided). The facility has a pool, tennis courts, a game room, and a restaurant with bar which features live music weekly. Fitness classes are held weekly and the equestrian center offers horseback riding. The clubhouse looks out on a par 30 beautiful 9 hole golf course as well. Summer weekend's feature Concert on the Greens with live music and food under the stars. The village of Pine Mountain Club is also less than 2 miles away and has a variety of amenities including 4 restaurants, a bakery/coffee shop, a general store, a gas station, and a variety of small shops and boutiques. The Village hosts multiple events each year as well including The Lilac Festival, Wine in the Pines, and Octoberfest. Outdoor activities abound with golf, swimming, and tennis at the clubhouse, hiking, and mountain biking. Fern's lake offers bass fishing and is PMC owned so no license is required. There is also more extensive hiking and cross country skiing at nearby Mount Pinos and just 200 yards from the door is a short hike to a magnificent waterfall. Pine Mountain Club is just 20 minutes off the Interstate 5 in the Los Padres National Forest, just 1.5 hours from LA, 1 hour from Bakersfield, and 1.75 hours from Santa Barbara, Santa Maria and San Luis Obispo, a great and less traveled alternative to Big Bear and other LA area mountain communities. The Log Getaway has never received less than 5/5 stars on Trip Advisor or Vacation Rentals by Owner (VRBO)...knock on lots of wood! My husband, dog and I spent a wonderful weekend at the log cabin celebrating our wedding anniversary. The cabin is beautiful and perfect. It is clean and quite cozy. We brought food and cooked in the kitchen and used the BBQ. The upstairs bed was lavish and comfortable. The cabin is within walking distance to a short creek hike. There is a bar, market, restaurant within 5 minutes drive. This is the perfect spot to unplug and unwind. We definitely plan to go back! We are pretty picky about our "get-aways" (don't get many) yet this cabin far exceeded our expectations. We happened to be there during a particularly good few days of snow but even without the cabin/location would be great. Although it might be our imaginations but our wine just seemed to taste better surrounded by this artfully beautiful cabin ;) Can't wait to return. Highly recommend. 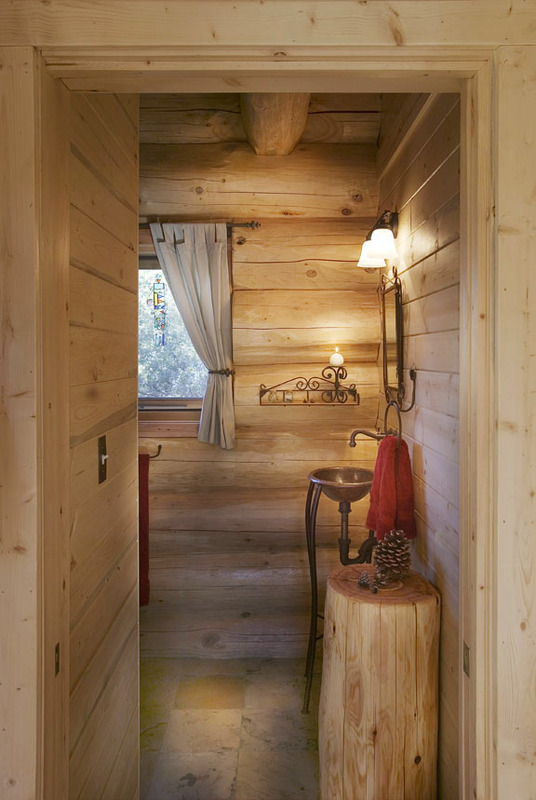 The cabin offered any and all of the amenities you could want. The breathtaking surroundings made for the perfect place to re-charge. Although we are not naturists per se, we did spend one day visiting the local hiking trails. If you're relaxing as a couple, or taking a small group of friends for fun, I can't think of a better option. We had visited the area previously and taken a day trip to the snow, but this visit was all about loosing ourselves and the cabin served this purpose well. 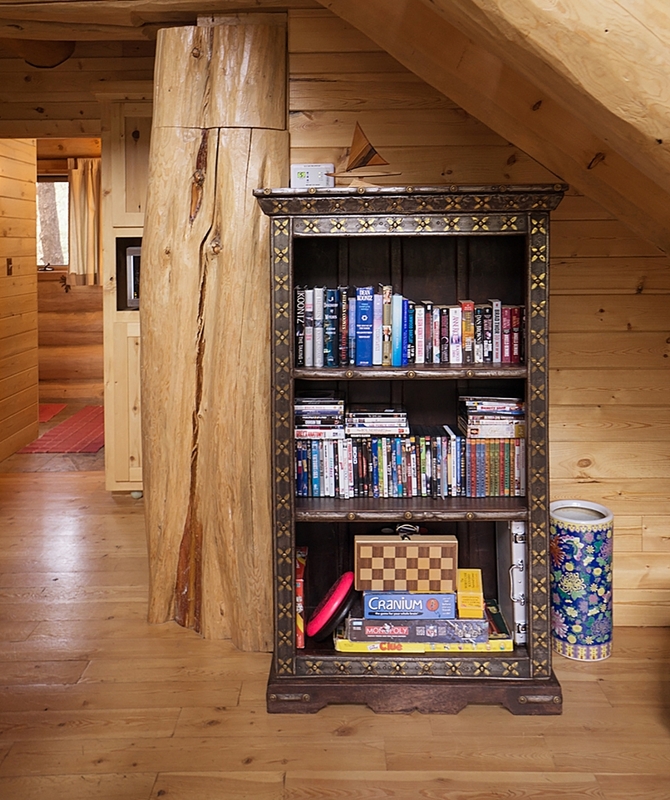 The craftsmanship and detail on the interior wood made the experience that much more special. I had the pleasure of staying here in December for the holidays. It is such a beautiful cabin. Clean, beautifully decorated & very cozy. It would be a great place for a romantic getaway or a fun retreat for a small family to escape reality for a few days. Booked the cabin for a couple nights and it was a dream! We'd never been to Pine Mountain Club but I found the place lovelier in person than the pictures. Everything was so well thought out, from the fully stocked kitchen supplies to the laundry soap available for washing your clothes. The cabin felt very safe and it was nice to have a local contact provided by the owner in case we needed anything. The town of Pine Mountain Club is so quaint. The bakery was delicious and there were gorgeous little shops too. There's also a good restaurants in town and our entire stay was bliss. We brought our little dog with us. Love that this cabin is so dog friendly! The fireplace heats the cabin very quickly and they even had a nice DVD collection for us as well. Absolutely coming back to this cabin. I want to move in! If you are wanting a place that will help you unwind and distress, this is it. Super romantic, quiet and peaceful. You will feel a million miles away when you are only two hours away from LA! This place is meticulously maintained and the owner is awesome to work with! You will not be disappointed with your decision. Our family of 4, plus our dog, had a wonderful stay at the "Log Cabin" rental in Pine Mountain Club! Russ the owner was pleasure to work with to get the rental arranged, and it is obvious that he put a ton of TLC into building and furnishing the cabin. From the copper sinksto the rock shower, wood carvings, and lovely tile inlays in the kitchen - everything is tastefully created and beautifully executed. It's comfy for a family of 4 or two couples. It's up near the end of a street in a quiet area and you can hike right from the cabin up into the woods to a little waterfall, and we were really pleased to find several good hiking and biking trails around Pine Mountain. We'd been in the winter but found we really liked the area in Summer too. We cooked and barbecued, and the rental had everything we needed. We will return!! We so hope that you appreciate the Log Getaway and all that it offers. Click either of the red buttons to book or you can email or call me (see the Contact Tab) with any questions. Standard rates are $195 weeknights and $250 weekends. Receive a 10% discount for 3 or more nights and a greater offer may be offered for last minute bookings including weekly and monthly bookings. Email us for availability and booking. Please email or call with any questions you may have.